Sam Spade and Kasper Gutman will be returning to 650 theaters across the nation later this month. 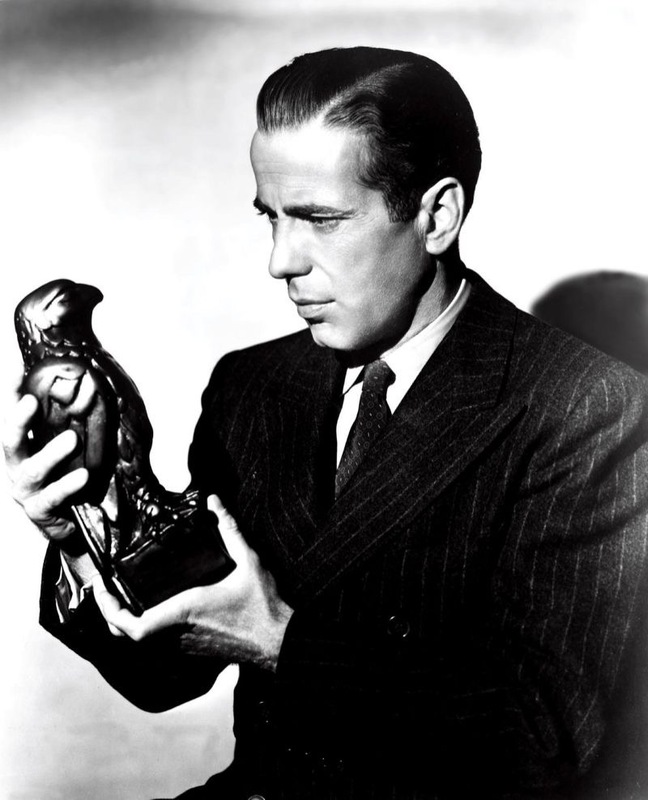 “The Maltese Falcon” will be re-released for it’s 75th Anniversary. As part of the TCM Big Screen Classics series, the film will be back on the big screen for two days only: February 21 and 24. Cited as the first major film noir, the 1941 classic stars Humphrey Bogart as Sam Spade, and Mary Astor as Brigid O’Shaughnessy. Sidney Greenstreet, Peter Lorre, Ward Bond, and Elisha Cook Jr co-star. The film, based on the novel by Dashiell Hammett, was directed by John Huston. This entry was posted on Thursday, February 11th, 2016 at 12:42 PM	and tagged with B&W, Bogart, film noir, history, photo and posted in film. You can follow any responses to this entry through the RSS 2.0 feed.